Revitalise your hair growth and slow down hair loss with HAIRCARE® at Bamboo Aesthetics. A hair loss treatment using REVITACARE® HAIRCARE® usually takes around 30 to 60 minutes. You should be able to carry on with your usual activities immediately after your treatment with no downtime. Bamboo Aesthetics is proud to offer hair loss solutions with REVITACARE®. HAIRCARE® is an innovative product that hydrates the scalp, prevents and reduces hair loss, and stimulates hair growth. The formula, developed by French Experts, is a solution if you suffer the anguish of slow growth, thinning hair, dryness and hair loss. The quality of your hair will be improved from the roots to the tips using a cocktail of nothing other than natural components. What is hair loss treatment with REVITACARE® HAIRCARE ® and how does it work? HAIRCARE® from REVITACARE® is a form a mesotherapy treatment, whereby we inject microscopic quantities of amino acids, zinc, and B vitamin complex into your scalp. HAIRCARE® combines invigorating, nourishing and stimulating elements required to revitalise your hair follicles, regulate seborrhea, improve blood flow, nourish and hydrate your scalp, reduce hair loss, and stimulate re-growth. How soon will I see the results of a HAIRCARE® hair loss treatment? Most people find they need a course of two to three treatments approximately two weeks apart to experience the best results. Once you are happy with the outcome of your treatment, you may choose to have a top-up treatment every two to three months. 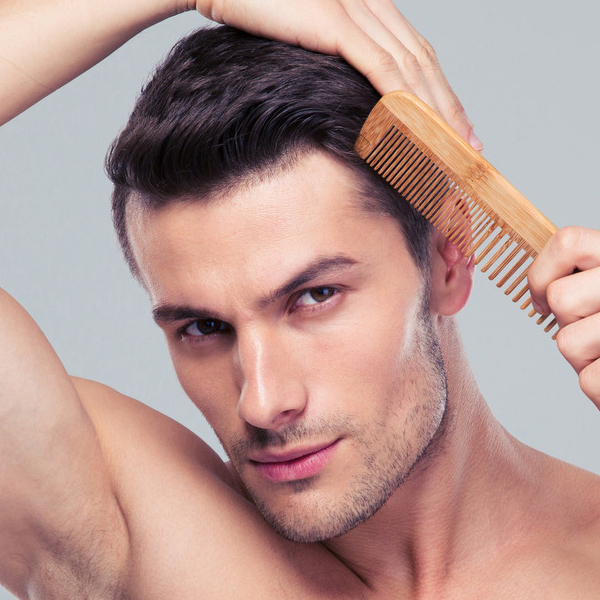 Is hair loss treatment with HAIRCARE® safe? This hair loss treatment has an excellent safety record and is associated with minimal side effects. In clinical studies, HAIRCARE® shows accelerated hair growth, reduced hair loss, improvements to scalp health, a reduction in seborrhea of the scalp, and a general improvement to hair suppleness and vitality. What are the potential side effects of a hair loss treatment with HAIRCARE®? You may experience some bruising, redness and/or swelling at the injection sites, which remains for 12 to 36 hours. Although it is possible to experience an allergic reaction to the product, this is a rare occurrence because of its natural components. How much does a HAIRCARE® hair loss treatment cost? A HAIRCARE® hair loss treatment costs £340. When you come into Bamboo Aesthetics for your initial consultation, we’ll give you a full and transparent breakdown of your treatment costs so that you can make an informed decision.